The Florida Baptist State Convention was a blessed and exciting gathering of our Florida family. On behalf of Florida Baptists, I express our profound gratitude to Bell Shoals Baptist Church for their incredible hospitality and Christ-like graciousness. The church agreed to host the Convention in June because of extenuating circumstances, beyond our control, and they were excellent hosts. It was awesome to witness the diversity of Florida Baptists demonstrated in every area of the Convention. The reflection of age, race, language, ethnicity, and culture was beautifully expressed throughout the family gathering. The uniting of our lives in evangelism, missions, discipleship, worship, preaching, and prayer was honored by God. We left Brandon with a renewed passion to focus our ‘Eyes on Eternity’ in our individual and corporate ministry. I am thankful for Florida Baptist churches uniting and leading the Southern Baptist Convention in the areas of Cooperative Program giving and baptisms. You lead the way for all Southern Baptists in a clear Gospel of Jesus Christ focused manner to fulfill the Great Commission. Florida Baptist gave $18,002,169 to the Southern Baptist Convention Cooperative Program. This amount led the entire Southern Baptist Convention in 2016-17. 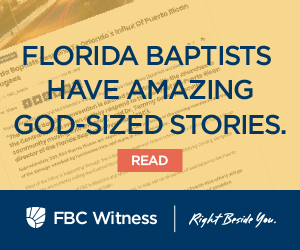 We also rejoiced with the report from Dr. Frank Page, the CEO of the SBC, that since the inception of the Cooperative Program that Florida Baptists have advanced over 500 million dollars forward to the Southern Baptist Convention! We are also very thankful for the gift of $500,000 presented to us by Dr. Kevin Ezell, the President of the North American Mission Board, to assist in Disaster Relief recovery. 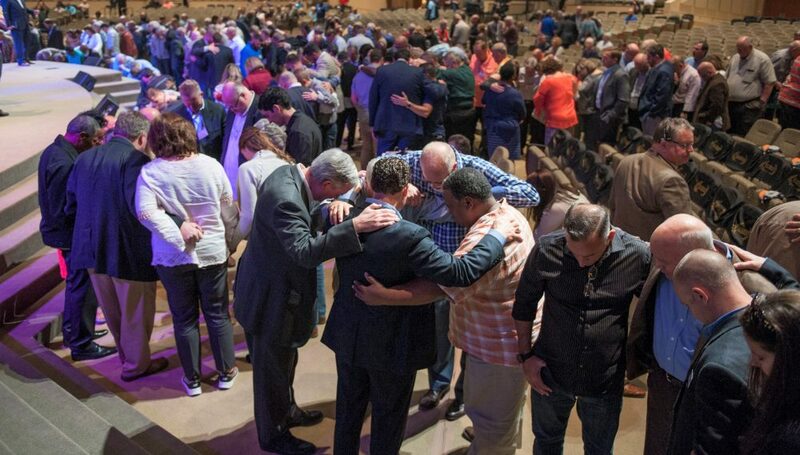 How blessed we are to be part of the Southern Baptist Convention family! Karen and I are humbled and overwhelmed by the love, prayers, and support that we receive daily from you. It is an honor and privilege to serve the churches of the Florida Baptist Convention. As we reflect upon our blessings, we thank God for each of you. We wish you a very Happy Thanksgiving!